The mass sexual assaults on women in Cologne on New Year’s Eve 2016 could have been prevented if not for a handful of “mistakes” by the city’s authorities in the lead-up to the incidents, according to a draft report revealed by German media. Cologne’s Express newspaper says it obtained a draft for the final report of the North Rhine-Westphalia (NRW) parliament’s examination committee on the events of New Year’s Eve 2016, when asylum-seekers sexually harassed 1,231 local women during festivities. The report is also said to reference an expert opinion concluding that the failure of timely police action in the events caused a “snowball effect” once the assailants noticed inaction toward their actions on the part of the authorities. “When the groups of perpetrators in Cologne realized that the police did not intervene, a snowball effect arose with the number of [cases of] sexual violence rapidly growing. The perception that the first criminal offenses remained without consequences gradually encouraged more and more persons… to do the same. The extent of the crimes that night could have been prevented by the timely, and above all early, intervention of the police and other protective and orderly forces, in other words, by the consistent prosecution of first offenses and early evacuations of [dangerous] areas,” the report states. “The politically-irresponsible handling of the [public relations] after the events of the New Year’s Eve in Cologne had not helped ease the victims’ and the public’s concern, but only worsened the situation to some extent,” a part of the report authored by the committee chairman, Peter Biesenbach, states. “The wrong and misleading communication of the authorities about the events as well as the lack of reaction of the politicians responsible for the city have resulted in much anger from the public,” it says further. The final report is expected to be completed by the regional parliamentary committee next month. On December 31, 2015, a wave of sexual assaults and thefts against women swept through numerous German cities, including Cologne, where around 1,000 men gathered on the square next to the central train station and proceeded to harass, rob, and assault individual females. Over 1,200 criminal charges were made following those events.Similar incidents also took place in Dusseldorf, Hamburg, Frankfurt, and Stuttgart. The victims were almost all young women between 18 and 24. 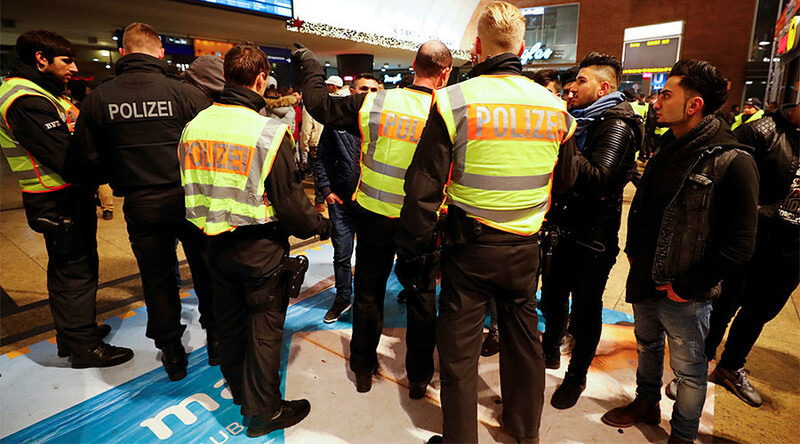 According to preliminary reports by investigators, almost all the suspects involved in the Cologne New Year’s attacks were refugees from either Algeria, Morocco, or Iraq.